Transportation has emerged as the top issue in the 2014 municipal election, and for good reason. Road congestion is awful, our bike system is anemic, and transit service struggles to keep pace with growing demand. The city is in broad agreement that we need to build more transit. What we need to build remains a matter of much debate. Into this void steps John Tory. With his business background at Rogers and the CFL and transit credentials burnished at CivicAction, his SmartTrack plan seems like the plan Toronto has been waiting for: new service in largely existing rail corridors, all without any increased cost for the residents of this city. But just as there are a great many questions about the viability of the transit plan itself, there are also questions about the viability of Tory’s suggestion for how to finance it. Tory’s proposal is to pay for SmartTrack using a mechanism called tax increment financing (TIF). First implemented in California in the 1950s, TIFs are basically a way of borrowing money based on the projected future increase in property tax revenue a new development will create. The basic ideas is that if we borrow money and build SmartTrack, that transit line will spur new construction, allow new businesses to set up shop along the way, and generate economic growth. That growth will increase the property tax base, which in turn means the City will collect more money. And—so the theory goes—the City will then be able to use that money to pay back loans it had taken out to build SmartTrack. We wouldn’t need to increase property taxes, in short, because we’d be increasing the total amount of valuable, taxable property in the city. TIFs are specific to an area: a particular project is meant to be funded by the increase in property tax revenues generated by the land surrounding that project. They are set up for a prescribed period of time, often in the neighbourhood of 20-30 years. TIFs can vary wildly in size and structure, and the area they apply to can also vary in size considerably. (For instance, the 2012 Gordon Chong subway report used development within an 800-metre radius of transit stops for hypothetical TIF districts, but distances vary on a case-by-case basis.) They have been used for projects ranging from a local sidewalk construction to light rail transit to subsidizing an NHL stadium. A municipality establishes a baseline of property taxes within the prescribed district, which can rise with inflation. The TIF then funds the local project with the property tax revenues that are collected in excess of the baseline (that’s the “increment” in the term “tax increment financing”). TIFs vary greatly where they’re implemented, and some plans use all of the increment, whereas more fiscally conservative ones use a percentage of the incremental revenue. With the relevant legislation having been created in 2006, TIFs are still relatively new to Ontario. Toronto currently has one TIF pilot project, related to the Spadina subway extension. In that case, TIFs are not the only financing tool; they are part of a wider suite of financing structures. In May, John Tory proposed a new commuter rail line as the signature idea of his campaign. Billed as “SmartTrack”, the 53-kilometre line would include 22 stations and, according to his campaign literature, would cost $8 billion. As part of his plan, Tory assumes that the federal and provincial orders of government will contribute equal funding to the project. It’s a generous assumption, but it’s also one that all other candidates make, so we can bracket it off for the purpose of fairness, at least. That leaves Tory needing to find $2.67 billion to fund the City’s third of SmartTrack, and he is proposing doing so with one revenue source: TIFs. According to his backgrounder on financing SmartTrack [PDF], $2.5 billion would be generated by establishing TIF districts in just three areas: Liberty Village, the downtown core, and the East Don Lands. This money would be generated solely from new office developments and would not rely on pre-existing properties. The financing plan does not spell out how the campaign team arrived at their $2.5 billion number or what a backup financing plan would be if the expected construction (and attendant increase in the property tax base) doesn’t materialize. It also doesn’t explain why this plan had not been previously enacted. There is no way of getting around the fact that TIFs are just property taxes, projected into the future. As a 2013 Metrolinx report on transit revenue tools explains, TIFs shift revenue around rather than provide new funding: “It is important to note that when raising bonds against future TIF revenues, you are simply bringing the future tax revenues forward to the present… It is not necessarily a ‘new’ funding source, but rather a means of tapping future revenues today” [PDF, p. 201]. By collecting all of the property tax revenue generated by new developments in three areas, Tory argues, Toronto can accumulate $2.5 billion over the next 30 years in order to pay for his transit plan. This approach to budgeting treats new development as a windfall. But these new offices—if they do materialize at the rate Tory says they will—require that the City provide services to them. We’ll need sewers and pipes and expansion of the electrical grid, public spaces and paramedic services and policing, paved and plowed streets, and a host of other amenities to meet the needs of the new developments that will be created. Providing those services has an ongoing impact on the City’s operating budget. Tory cannot use all of the increment—all of the extra money that the expanded property tax base would generate—and simultaneously say that his plan is revenue-neutral, that it will have no effect on the municipal budget. To implement TIFs honestly, he can only use part of the increment. TIFs often refer to unlocking value, which they can do when used under certain circumstances. It is why TIFs are recommended in neglected neighbourhoods and brownfields that otherwise have difficulty attracting investment. Because TIFs are structured in order to encourage and capture value in underdeveloped areas, they’re well suited to those situations. KPMG put together a report on potential transit revenue tools for Metrolinx. From that report: “TIF should focus strictly on areas targeted for redevelopment, which would otherwise have difficulty attracting funding.” That is why most TIF-funded projects have clauses that stipulate that TIFs get used only where development would otherwise not occur. Which brings us to SmartTrack. The regional express rail line fails this test on two accounts. One, the provincial government already has a plan for building regional express rail, including a route very similar to SmartTrack, and has had it since 2009. Tory’s plan is slightly different from Metrolinx’s: it includes other stations and does a jog along Eglinton West that would require about 10 kilometres’ worth of tunnelling. (A significant cost his campaign did not initially acknowledge.) SmartTrack is essentially a John Tory–fronted pitch of an off-the-shelf product, with a couple of tweaks. For the purpose of calculating TIFs, this is important because then the comparison is not to what the SmartTrack route would look like without transit, but what additional value SmartTrack offers compared to the provincial plan. Two, Tory’s plan hinges on projected development in three areas: Liberty Village, the downtown core, and the East Don Lands. Liberty Village and the downtown core are already fairly well developed, and the former likely already faces a deficit in terms of the level of municipal services it receives. There is little extra value to be captured here. The East Don Lands does represent a development opportunity, but it is one that is already under way. A massive overhaul of the Unilever site was already planned before SmartTrack, as were Waterfront Toronto plans for spurring growth in the area. SmartTrack cannot take full credit—and in some cases any credit—for these developments. Yet Tory plans to use those developments as the source of revenue for SmartTrack. This is not a responsible way to build communities or to plan budgets that represent the needs of those communities. John Tory likes to call his SmartTrack plan “bold” and sometimes invokes the need for “world-class” transit. But the financing plan for this project would also take on outsized risk. Excluding cost overruns and the City’s share of tunneling along Eglinton West, the $2.67 billion needed for SmartTrack would be the single largest TIF used anywhere, ever, for a single project. That means a lot of risk for the City to assume: in fact, the province would have to double the City’s currently allowable TIF limit in order for the project to get off the ground. The $2.67 billion would also impact Toronto’s self-imposed debt ceiling (the ratio of how much we pay to service debt relative to property tax revenue). Assuming the Scarborough subway continued as proposed (Tory is a strong proponent of it) and the TIF financing began in 2017, the City would exceed its debt ceiling in 2017 and 2018 and come within 0.01 per cent of exceeding it in 2019. Put another way: we’d be maxing out the amount we could borrow in order to finance SmartTrack. If we needed money for other projects, we would need to significantly raise property taxes—which Tory has rejected. As a result, putting all our remaining borrowing capacity into SmartTrack limits out ability to tackle other issues like the TTC’s state of good repair backlog, TCHC’s state of good repair backlog, water infrastructure, or other municipal priorities. 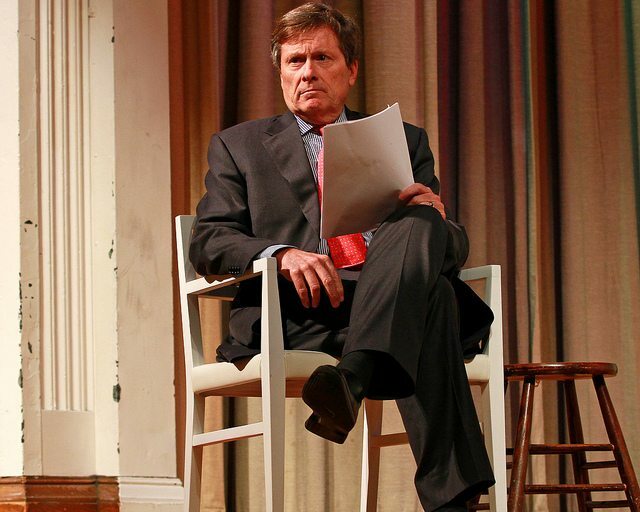 This is not the kind of attitude that the John Tory of CivicAction embodied. That John Tory spoke about our need to have an honest conversation about transit and admitted that we’d need a variety of revenue tools to make progress. There was no magic bullet, and Toronto would have to make sacrifices for the sake of long-term growth and prosperity. He also decried politicians for tampering with expert transit proposals in order to win elections, and said he was wrong when he made road tolls a wedge issue when he was a candidate in the 2003 mayoral election. With SmartTrack, that John Tory is nowhere to be seen. Instead, he offers a simple solution to a complicated issue. He does not explain how he arrived at his numbers but asks us to accept it on faith. (In scrums his answers to questions about TIF generally cite his “confidence” that the projected growth will materialize. “How could it not?”) He positions tax increment financing as free, guaranteed money and refuses to offer contingency plans if his projections prove wrong and his confidence unfounded. He has not addressed the myriad consequences his unprecedented TIF could have on an already precarious municipal budget. He has not made the case for the TIF itself, even: we still don’t have a clear account of what value SmartTrack would create over and above what the province is already planning to build by way of transit expansion. We are all, before we vote, owed a full accounting of what the SmartTrack funding plan means and what risks it entails. John Tory’s own standards demand no less. CORRECTION: September 30, 2014, 5:10 PM This post originally stated that the West Don Lands brownfield initiative project is using a TIF as part of its financing—that is not the case. We regret the error.